The Washington Capitals enter into the 2015-16 season with a renewed optimism. Last season was a stepping stone to greater things to come, and the offseason was productive with the signing of T.J. Oshie and Justin Williams. And, as I predicted last month, the Caps brought in disenfranchised Derek Roy from Edmonton for PTO this week. The Caps’ top line was all over the place last season with various players slotting in at right wing throughout the term. 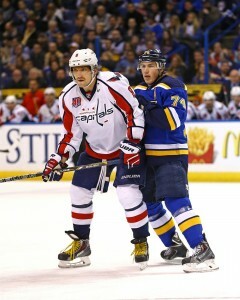 Next season will be different now that Washington has brought Oshie into the frame. He’s the kind of player who can take the reins on the right and stay there. He’s persistent, competitive and now has superstars Alex Ovechkin and Nicklas Backstrom alongside him (well, if the latter is fit enough to start the season). Oshie has 110 goals and 200 assists from 443 career NHL games and had a 51.7 shot attempt percentage last season. This new-look top line will likely be the most productive in the NHL in 2015-16. The second and third (and even fourth) lines aren’t too shabby either. Williams will almost certainly take the right-wing spot on the second line. The dynamic duo of Kuznetsov and Burakovsky proved last season that they’re in the NHL for the long haul. The one variable is Galiev; the rookie must impress quickly (if he’s given the chance to start a game), because Michael Latta and even Roy are both waiting in the wings to enter the frame. With lines like these – comprised of experience, eager sophomores, tenacious new guys, and – a genuine world superstar, the recipe for a Cup win has materialized in Washington. In Braden Holtby, the Capitals finally have the goaltender they’ve searched for since the legendary Olaf Kolzig left the nation’s capital. In Holtby, Washington has a netminder with the best playoff save percentage in NHL history – arguably one of the best goalies in the NHL. As I predicted weeks before it happened, Holtby was rewarded with a five-year contract worth $30.5 million after an incredible 2014-15 season between the pipes. He led the NHL for games played by a goalie with 73 games last term, and he also held the NHL’s best total saves total at 1,887. Holtby will be hungry to improve even further on his career-best 2.22 GAA and .923 save percentage (regular season) and a 1.71 GAA / .944 save percentage (playoffs). 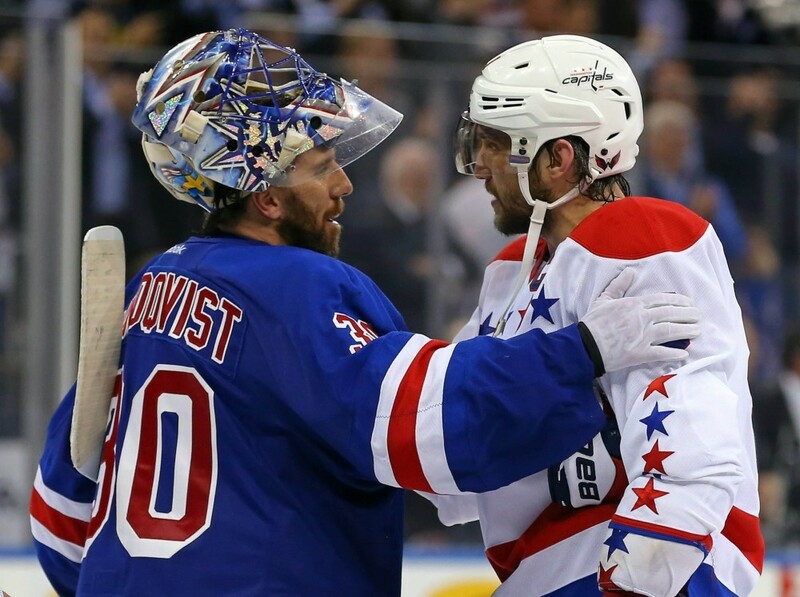 The Capitals have lacked a goalie capable of winning the Stanley Cup; until now. Holtby’s icy demeanor and his outstanding work ethic are key to a Cup win. After the 2014-15 NHL season, the Capitals finished first in power-play conversions with a 25.3 percent success rate. With Oshie (and possibly Williams) added to the Caps’ already impressive extra-man lineup, Washington will be near the top of power play conversions in 2015-16. As long as Backstrom starts the season 100 percent fit, he and Ovechkin are capable of producing points each and every time they take the ice with the extra player. Adding Oshie to the right of Backstrom doubles the chances of scoring, and Ovechkin scored 25 goals last season on the power play while the rest of the team (combined) only managed 35. That scenario adds up to goals galore. 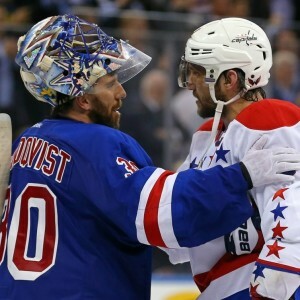 Successful power play units win Stanley Cups; depth wins Stanley Cups; and excellent goaltending wins Stanley Cups. The Capitals have all three in their camp going into the 2015-16 season. Let’s also not forget a solid blue line set up and a shrewd head coach. When you add it all up, this is the Capitals’ season to take their game to the highest level.